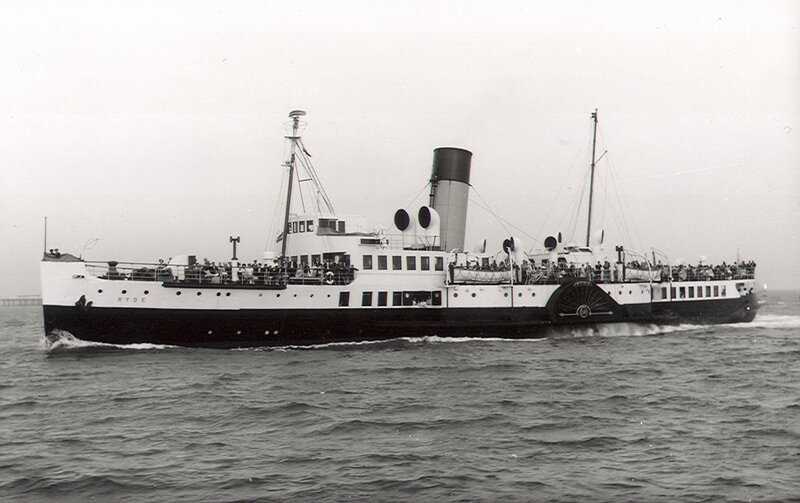 RYDE QUEEN was built for the Southern Railway Co. for the ferry service between Portsmouth and Ryde on the Isle of Wight. 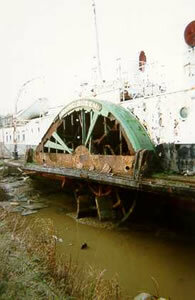 During the Second World War she served as a minesweeper. 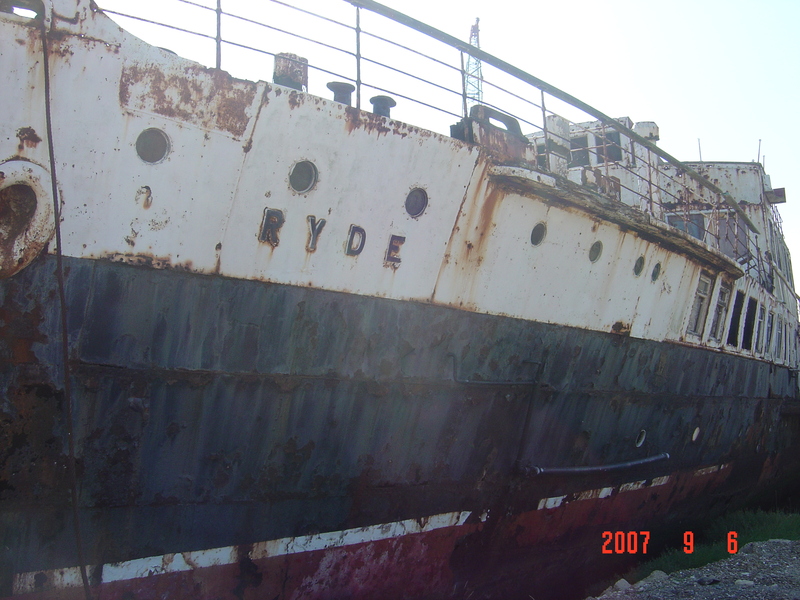 In 1942, RYDE was converted into an anti-aircraft vessel and took part in the Normandy Landings of June 1944. 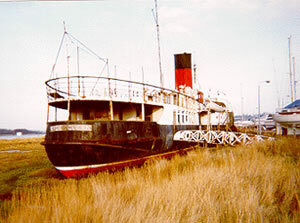 She returned to passenger service in 1945. 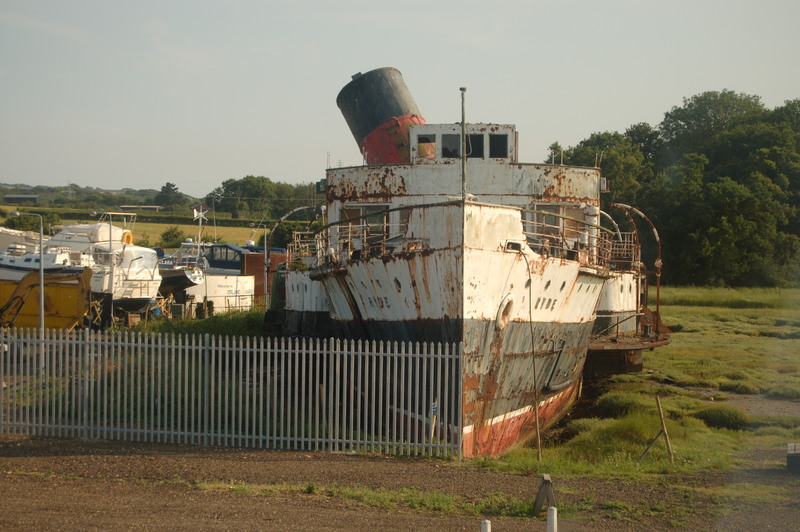 Withdrawn from service in 1970, she opened as a restaurant/pub in Binfield in 1972. 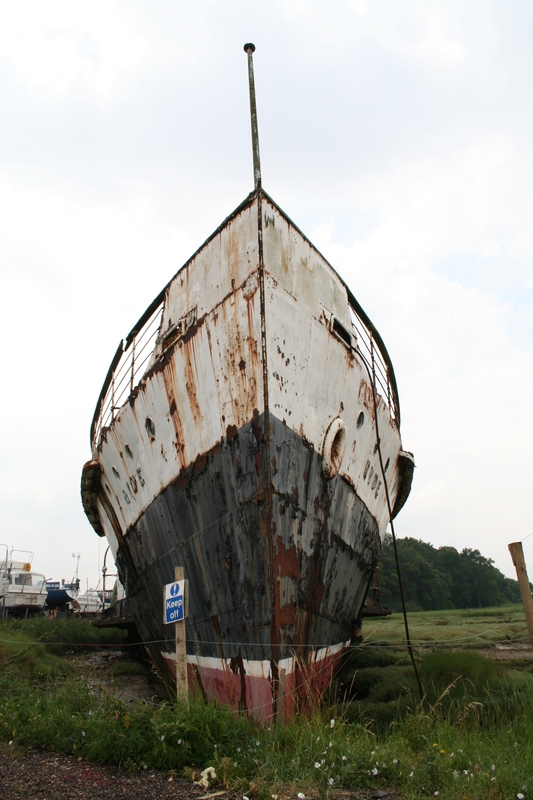 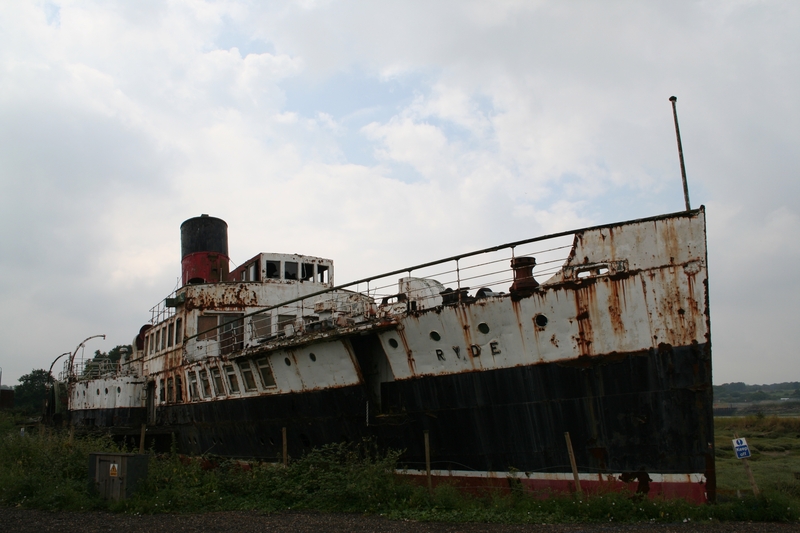 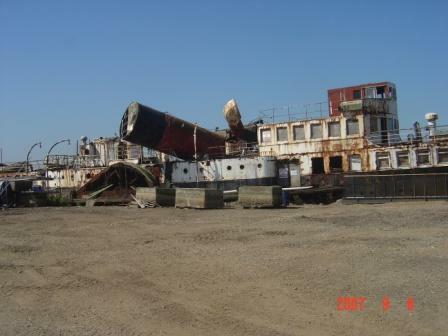 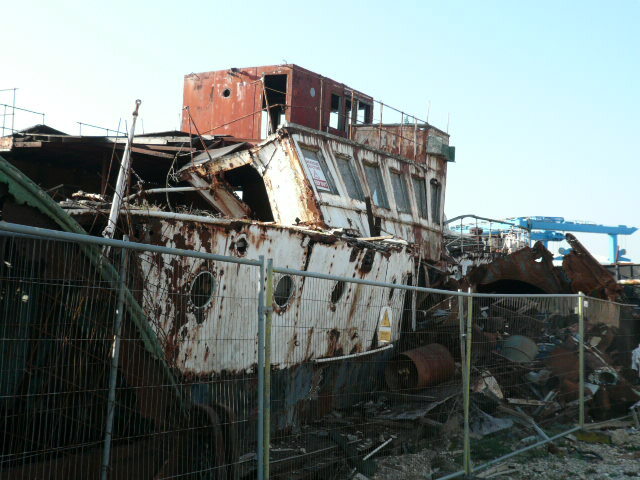 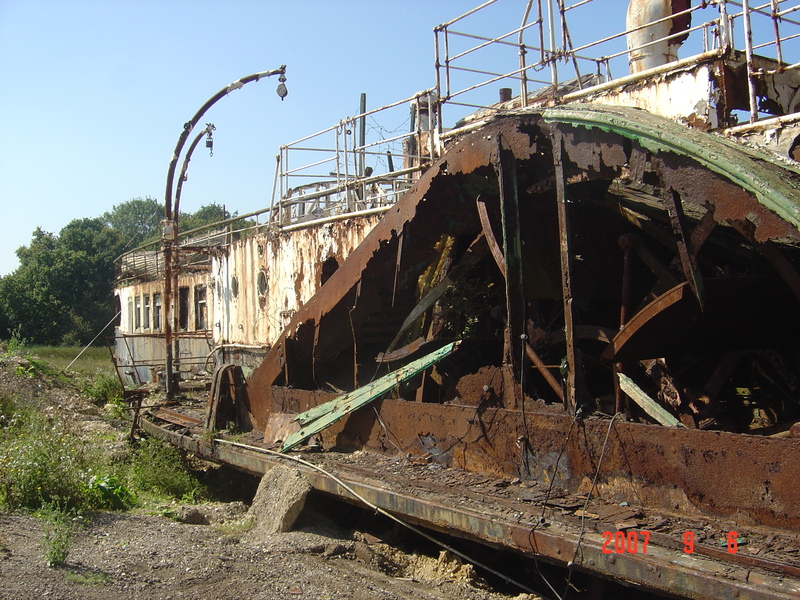 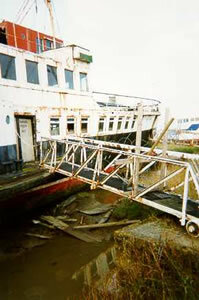 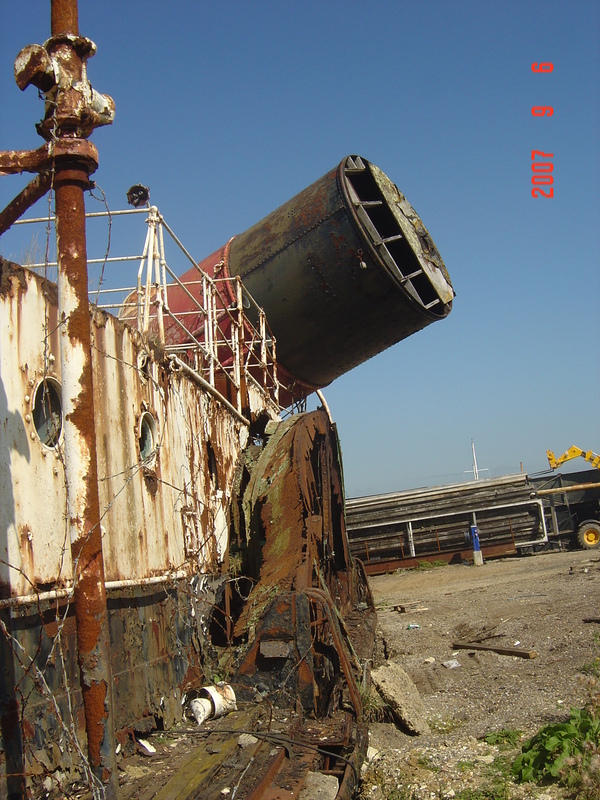 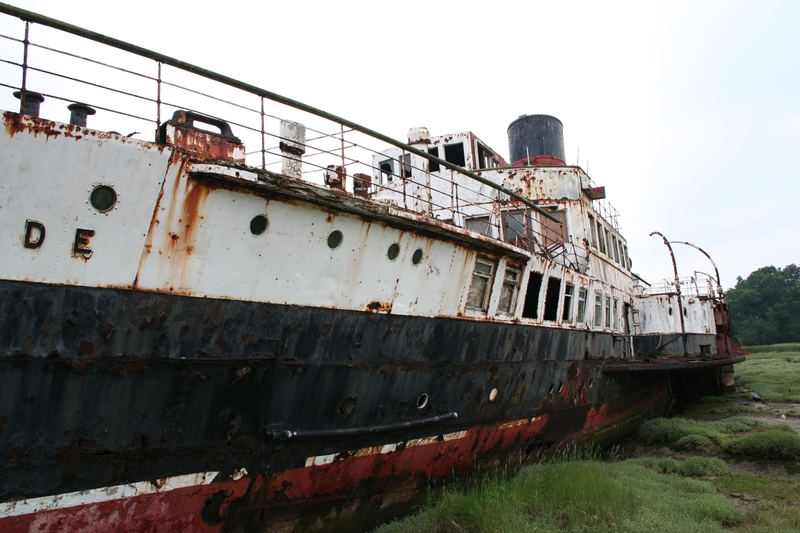 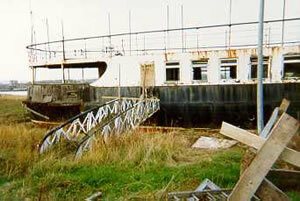 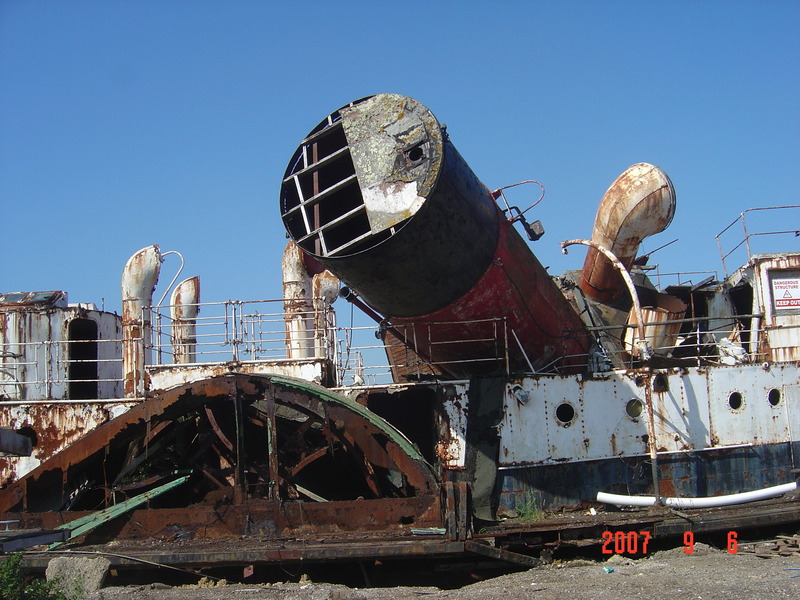 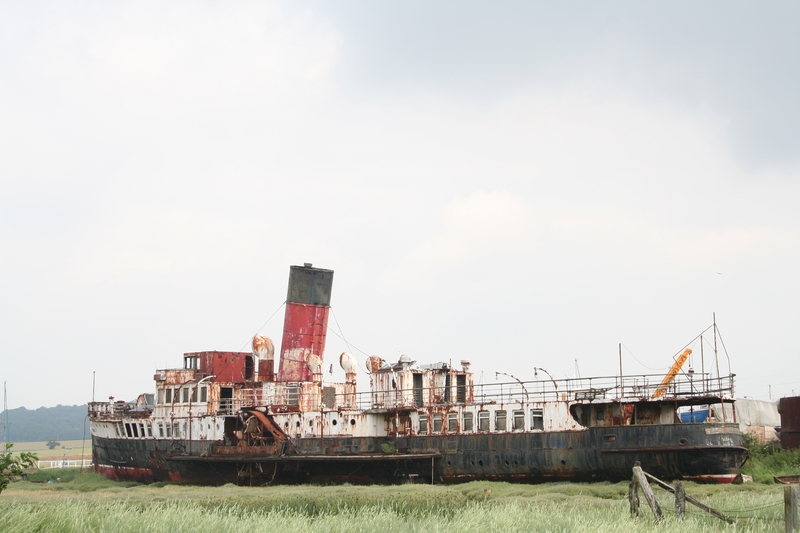 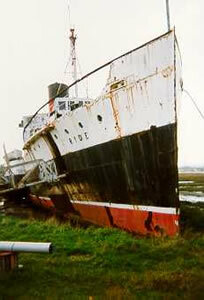 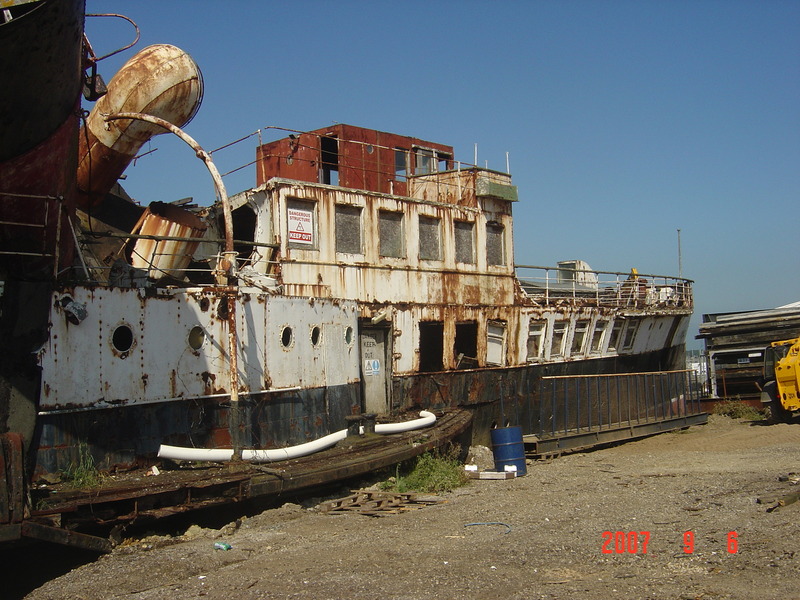 December 2006 saw her lying ashore on the River Medina, Isle of Wight, in poor condition with her funnel collapsed. 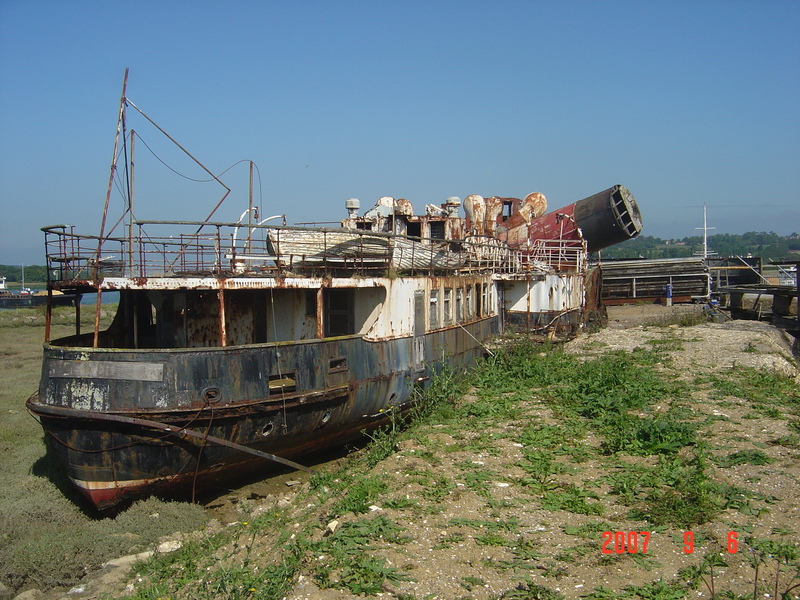 As of December 2018, the vessel has collapsed further and, as the latest attempt to conserve he has proved impracticable given her condition, the ship may have to be dismantled.